3.Comes with a LED light feature that makes it look very cool when turned on in the dark. 4.When you release your hand and feel that the globe is shifted in a direction, move it gently in the opposite direction by hand. 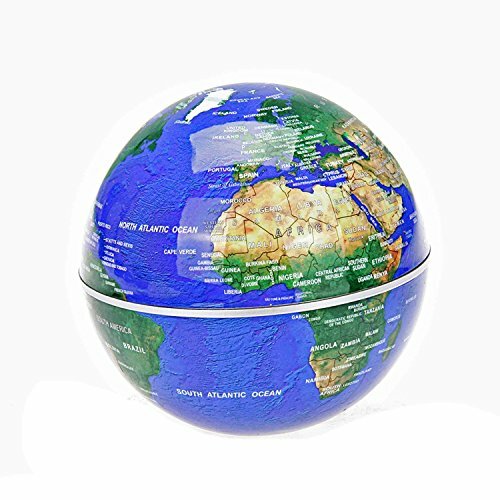 5.Until you feel that it is no longer offset, the globe has found the center point at this moment, you can completely release the hands. 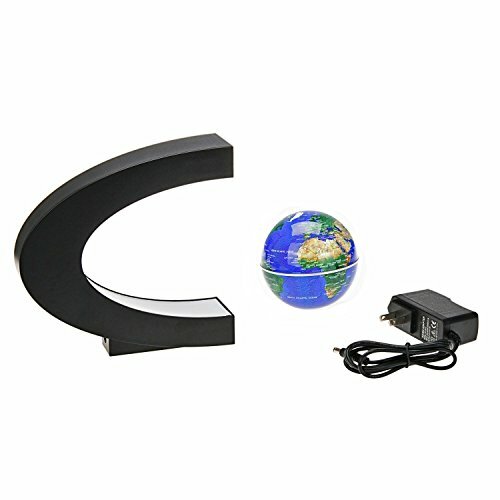 High tech gadget: Globe is suspended in mid-air by magnetic technology & Rotates 180 degree while hanging in the air. Details: Color: Dark Blue / Package Size:Approx.21.5×21.5x10cm/ 8.5×8.5×3.9,there are 3 led beads in the side of C so that it could beautiful when the light working. 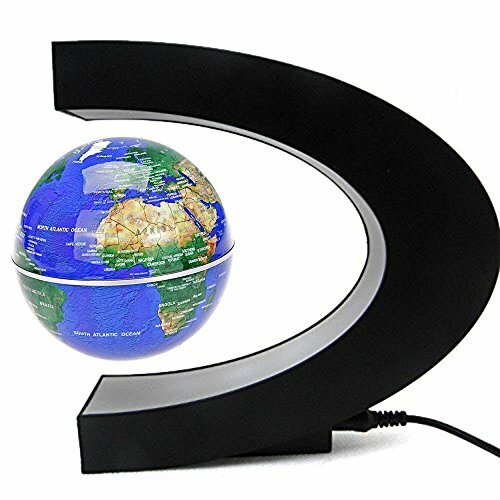 Customer Guaranteed: we have used the best quality materials and the latest technologies to make sure that this magnetic floating globe will function properly . 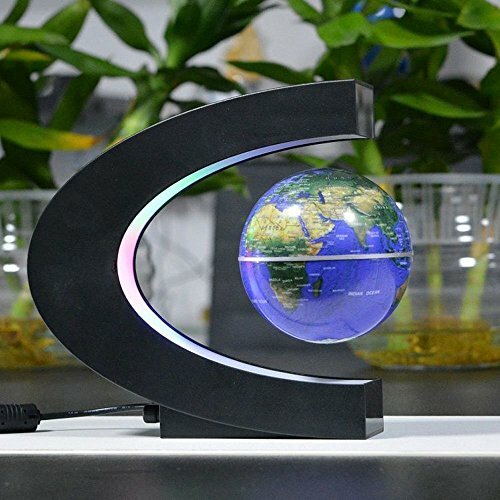 In the unlikely case that you’re not completely satisfied with the globe world map of the magnetic floating globe gadget, we will give you your money back .